You are here: Home » And we have TOP22! 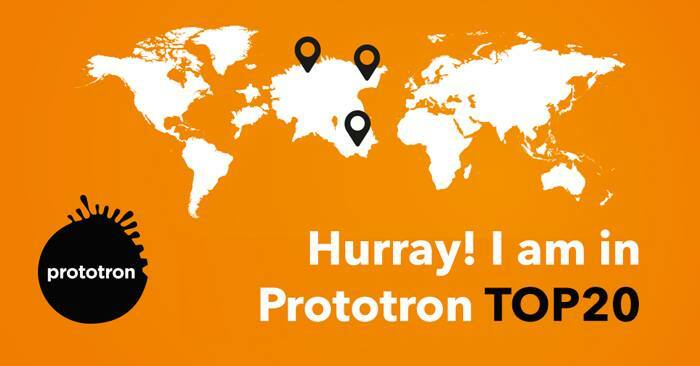 As of today, the experts and the pre-assessors of Prototron have reviewed ca. 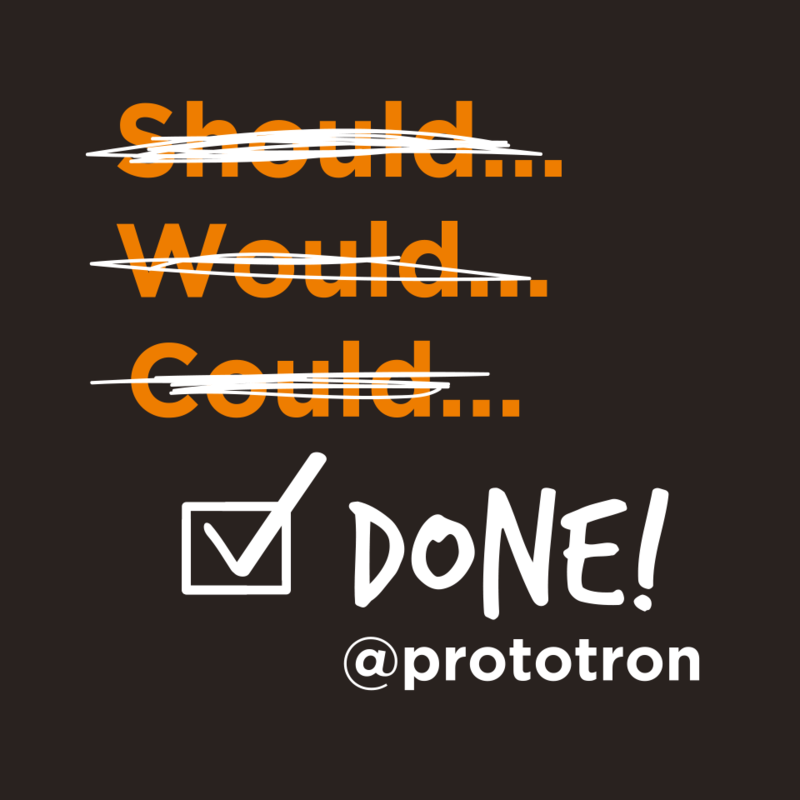 200 submitted ideas and selected the ones with the most potential to success of which Prototron can contribute in a most efficient way. The selection process was the real challenge – this is why 22 teams get the chance to develop their ideas in this round. In the upcoming weeks these teams will get personal mentoring and will be able to participate in the training offered by partners of Prototron in order to improve and develop their ideas. Everyone’s goal is the same – to be selected for the top 10 and get opportunity to pitch their idea before Prototorn Expert Committee. “Many technical solutions were submitted in this round. The ideas from TOP22 are very diverse. 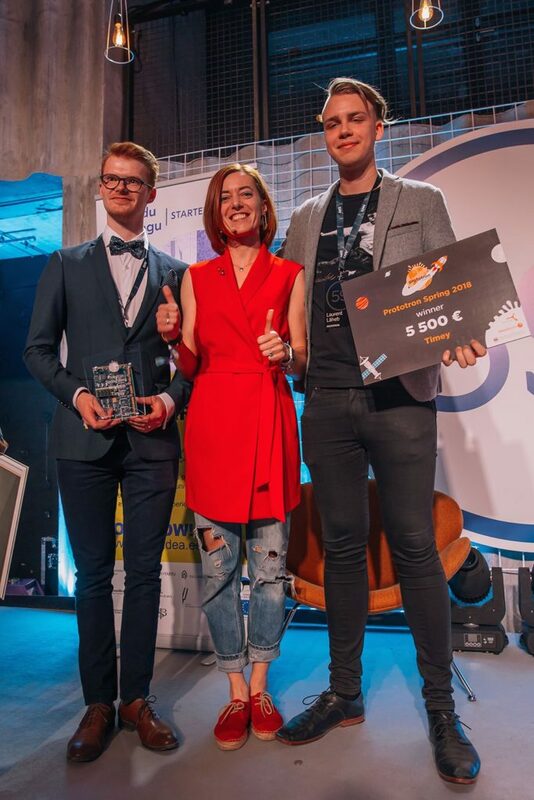 Sadly, some of the great ones did not make it this time, but we really hope that the teams will take our expert advice into account, adjust their applications accordingly and take part in the spring round,” says the CEO of Prototron Jana Pavlenkova. Avionica – is developing a standard-compliant transponder module to help drone operators to enhance safety in the airspace and make it easier to comply with regulation by transmitting their location. BiipMe – a smartphone application that helps to organize lives of HIV-positive people in such a way that all vital and necessary tasks for maintaining the quality of life are performed in a timely manner. Covisual – develops communication software to help engineering and construction teams to save time and avoid errors while working on a construction design remotely, in a way that all users can spectate each other`s movements and actions on the blueprint in real time. Degritter – develops an automatic record cleaning machine that helps DJ-s, audiophiles and vinyl enthusiasts to take care of their record collections thoroughly and safely using ultrasonic cleaning. Gelatex – develops tgelatin-based leather-like textile to help mass fashion or furniture brands to use eco-friendly materials and earn profit at the same time with using technology that is affordable, easily scalable and patentable. Generic actuator for agile human augmentation – develops a calibration unit for a PWM-controlled pneumatic cylinder used in development of exoskeletons and bio-mimicry systems in the construction of robots. Grifters Wallet – makes smart wallets with Bluetooth to help people protect their valuables by connecting their wallet with their smartphone. HackMotion – helps to learn snowboarding super-fast by tracking body movements with smart clothing and providing realtime audio feedback. Hairvel – develops and produces haircare ingredients that help haircare producers to make their consumer products more efective, milder for environment and end-user by using biotech. ISPM – develops a system for monitoring industrial processes, the purpose of which is to boost production efficiency by up to 15%. Limestone – creates a game with a unique mix of player beloved genres such as fighting game and tactical combat. It is driven by intense story line and has unique adaptive adrenaline pumping gameplay..
Octant Blockchain – develops Octant Blockchain software to help financial institutions and financial-technology companies to make their services more available, more trusted and independent with blockchain technology. theO – develops a smart indoor air quality monitor to keep your family healthy and energetic. Smartel – develops smart access service to the short term rental owners, by making the door to open in right time to the right person – it is easy, secure and economy..
Sofable – develops an office table for future workplace. A multifunctional piece of furniture that makes the atmosphere in the office more creative. Sphebotics – the system that improves efficiency of getting solar power from any surface: from the roof, from the hills around the farmhouse or from the water surface. Tark energia – is developing computer heat based radiators to help consumers using electrical heating to save on power bills with lowered rates thanks to the profit created by the computers. TempID – a software and hardware solution, that optimizes obtaining information on the patient’s health and improves accuracy and traceability of data in order to improve effectiveness of treatment. VitaBug – offers alive biomass cultivation service of insects for pest control in organic farming and biological growth factor serum production for cosmetic and pharmacological industry to satisfy the need for environmentally friendly solutions. Vulcan – develops a full-stack predictive maintenance platform to prevent cold households and to reduce the costs from stove downtime for enterprises by helping pellet stove users change their igniters before failing. WalkTalk – develops an application that uses augmented language reality and geolocation. Just think about a city that speaks with you and helps you to practice any language you want. Wurniture – develops a robotized furniture production platform to help e-shoppers furnish their homes with designer wood furniture using our online user interface, which allows to customize the key features of a piece of furniture. 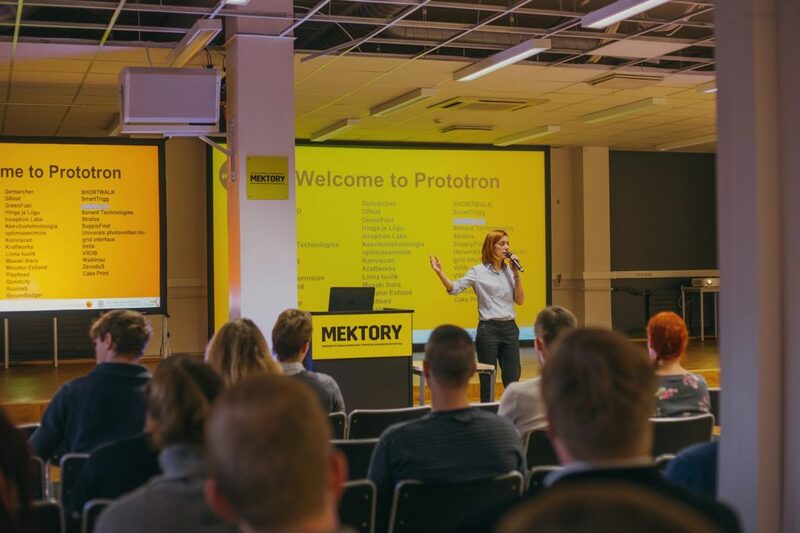 During the Mentorship day on 17 November only ten teams will be selected for presenting their ideas before Prototron Expert Committee on 5th December. 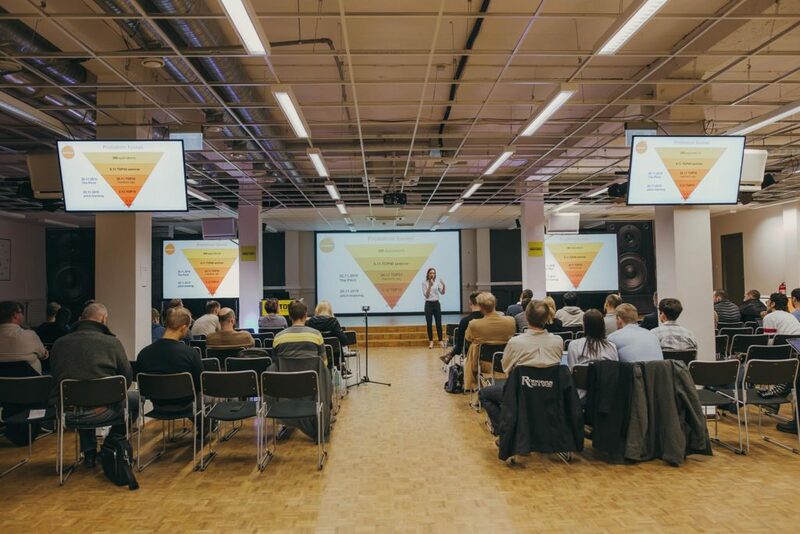 The ideas will be evaluated by the expert council of Prototron that includes Priit Alamäe (Nortal), Jaak Raie (Tehnopol), Heiki Raadik (Swedbank), Jaanus Tamm (Defendec), Yrjö Ojasaar (Solon Partners), Andrus Oks (SmartCap), Margus Uudam (EstVCA) and Madis Raukas (TTÜ). 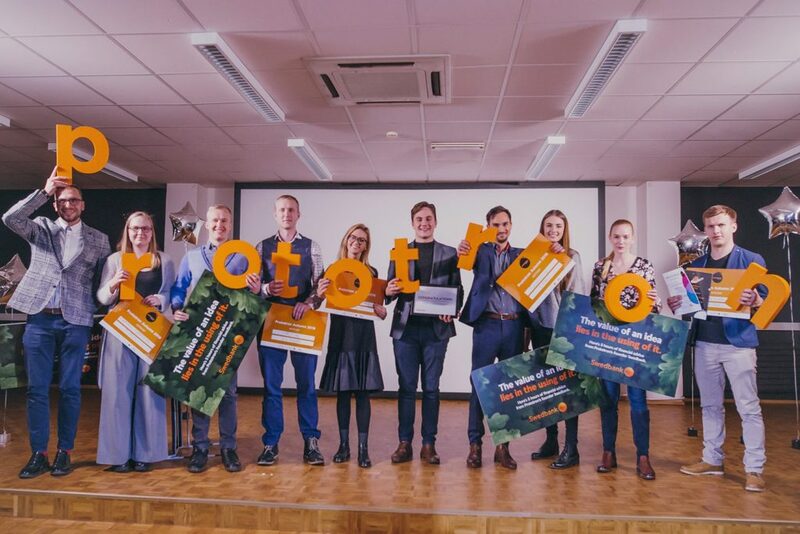 The winners will be announced on 9 December at the StartUp Day.